WholeTrees created these conceptual renderings for an upcoming client. The project consists of an administrative building and training center. The structural timbers throughout the project tell the story of the forest. 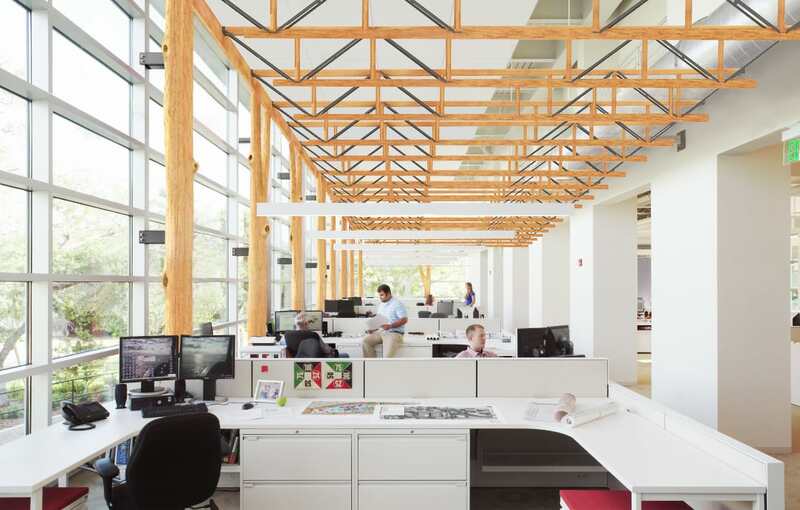 Trees add beauty and biophilia to the workspace.